We've compiled a list of FAQs and fun facts about our company and products to provide you with quick answers to common questions. If you can’t find an answer to your question below, please feel free to email us at custserv@badgerbalm.com and a friendly Badger will respond as soon as possible. An unopened tin of balm stored at a moderate temperature should be good for two to three years, depending on the product. If you open it and it smells good, then it’s good. Badger doesn’t use synthetic chemical stabilizers. Extremes in temperature (such as freezing, thawing, and humidity) can affect a balm’s shelf life by changing its consistency and aroma. How can I find the expiration date on my product? Expiration dates can be found on the top, bottom, or side of the product itself or the outer packaging, depending on the product. Click here to find the expiration date on your product as well as a key to the expiration date codes. You can expect your opened tin of balm to remain good for at least twelve months. Beyond that, the general rule of thumb is if it looks and smells good, then it’s still good! However, keep in mind that as soon as you open any tin of balm and use it, the life span countdown begins. Factors such as temperature, humidity and even the cleanliness of fingers removing the balm can affect an open tin’s life span. What more, essential oils, which give a balm its pleasant aroma, will slowly but surely begin to lose potency from an open tin. Keep the lid on when not in use. Keep it out of direct sunlight, when possible. And avoid repeated freezing and thawing (like forgetting it in your car on a cold day or hot day). Keeping your balm in a cool place is not necessary, but it will certainly help prolong the life of your balm. Why does the balm in my tin of Badger look different than the last time I bought it? Badger uses natural ingredients, and because of this, variations in color from one batch to another can be expected. Factors such as the amount of sunshine and rain in a given year or fluctuations in temperature can all subtly affect natural ingredients. One season's pressing of organic extra virgin olive oil may be greener in color than the season prior, or you may experience a stronger or more subtle scent with an essential oil. All of this is normal and expected when working with natural ingredients and Mother Nature. Absolutely! However, you may find its consistency has changed just a bit. Sometimes, a product can become much softer and creamier after it freezes and then thaws, but it is still perfectly good and safe to use. Can I use Badger products on my face? Our products are so natural that they’re safe to use pretty much anywhere on your body. We don't recommend, however, using our Muscle and Joint Rubs near your eyes, nose, mouth, and other sensitive areas. And if a product is new to you and you’re not sure how your skin will react, we recommend testing on a small area of skin before full use. For your face, we recommend our cleansing oils and face oils, which have been tested and approved non-comedogenic (won’t clog pores) and are specially formulated for use on the face. Our daily sunscreen lotions and many of our sunscreen creams are great for use on both your body and face. I&apos;m pregnant and/or nursing, are your products safe for me? Absolutely! Our products are safe to use on children and babies six months or older. We receive feedback from moms, dads, and grandparents that they love using our baby care products because they soothe minor skin irritations, cradle cap, and diaper rash. Many people also use our Anti-Bug products, Sleep Balm, After Sun Balm, and Night-Night Balm as natural alternatives for their children. If a product is new to you or a member of your family, we recommend testing on a small area of skin before full use, and if you have any questions please check with your doctor. Gluten refers to certain proteins found in wheat, rye, and barley. People with gluten-related disorders or sensitivity don’t tolerate the proteins found in foods containing these grains. Most Badger products are certified gluten-free by the Gluten-Free Certification Organization (GFCO). Products certified gluten free contain 10ppm (parts per million) or less of gluten. The GF logo on a Badger product means that product meets strict gluten-free standards that have been independently verified. Badger's Lip Tints, After-Bug Balm, Shave Soap, Shampoo Bar, Canadian Sunscreens, and all SPF 25 Sunscreen Lotions (Rose, Rose Tinted & Unscented) are produced offsite by sub-contract manufacturers that have not been certified Gluten-Free. These products cannot be guaranteed gluten-free. I have allergies to peanuts, are Badger products safe for me? Badger products do not contain peanuts or peanut products. However, because we are not peanut-free certified, we cannot claim that our products are peanut-free. Products manufactured at our subcontractors' facilities (Lip Tints, After-Bug Balm, Shave Soap, Shampoo Bar, Canadian Sunscreens, and all SPF 25 Sunscreen Lotions (Rose, Rose Tinted & Unscented)) do not contain peanuts but may be produced on equipment that also produces products containing peanuts. While our subcontract manufacturers carefully clean between product runs to greatly reduce the possibility of cross-contamination, follow Good Manufacturing Practice (GMP) standards, and periodically test batches to be sure that the cleaning processes are sufficient to reduce cross contamination of any allergens, they cannot claim to have a peanut free facility, nor do they hold any peanut-free certifications. If a product is new to you or a member of your family, we recommend reading our full-disclosure labels carefully and testing on a small area of skin before full use. I have allergies to tree nuts, are Badger products safe for me? • All Badger Every Day Body Moisturizers (cocoa, nutmeg and shea butter, coconut oils) - Note: These items have been discontinued. While we (and our subcontract manufacturers) follow Good Manufacturing Practice (GMP) standards to eliminate cross contamination of any allergens, we cannot guarantee that other Badger products not appearing on this list are one hundred percent nut-free, nor do we currently hold any certification stating so. I have allergies to soy, are Badger products safe for me? Separate filling tubes are used when producing Badger Anti-Bug Shake and Spray to limit any potential soy cross contamination in products manufactured on the same machinery. However, there is the potential for trace amounts of soy to be present in our liquid products (any product in glass bottle packaging). All products packaged in tins are made on machinery that has not touched any soy ingredients. While we and our subcontract manufacturers carefully clean between product runs to greatly reduce the possibility of cross-contamination, follow Good Manufacturing Practice (GMP) standards, and periodically test batches to be sure that the cleaning processes are sufficient to reduce cross-contamination of any allergens, we/they cannot claim to have a facility free of soy allergens, nor do we/they hold any soy-free certifications. I have allergies to corn, are Badger products safe for me? While we and our subcontract manufacturers carefully clean between product runs to greatly reduce the possibility of cross-contamination, follow Good Manufacturing Practice (GMP) standards, and periodically test batches to be sure that the cleaning processes are sufficient to reduce cross-contamination of any allergens, we/they cannot claim to have a facility free of corn allergens, nor do we/they hold any corn-free certifications. My dog or cat ate my tin of Badger, will they be OK? In most cases, if a product is consumed by an animal (with the exception of a cat), there should be no harmful effects. Cats cannot process essential oils, so if the product has a high essential oil content it may make your cat sick. Check with your veterinarian to be sure, since different animals have different sensitivities to essential oils, and though we are “Badgers,” we are definitely not animal experts. Is it ok to use Badger products on my cat? No! It is definitely not okay to use any product containing essential oils on a cat. Cats don’t process essential oils in the same way as dogs or humans and it may make them sick. No way, no how! We love animals and will never ever test on them. We test all in-development products on family friends, volunteers, and ourselves, which is fun. If a new product does not pass our high standards, it does not make it into the marketplace. We are also certified by Leaping Bunny which means we never test our products on animals and our suppliers never test their ingredients on animals. Many of our products contain beeswax and our SPF 25 Sunscreen Lotions contain a whey derivative from dairy so those products are not vegan. We do have a number of vegan products including our pregnant belly oil, massage oils, body oils (including our baby oil), face oils, face cleansing oils, hair oils, pre-shave oil, after-shave face oil, men’s hair oil, and beard oil. See all our Vegan Skin Care products. Do your products contain oil made from badgers or other animals? No. Our products do not contain any badger oil or oil from other animals. We use primarily plant-based ingredients as well as beeswax that is produced by honeybees, and an ingredient in our sunscreen lotions that is a whey derivative from dairy. Our products labeled with an SPF value are the only products registered with the FDA as sunscreens. For more information about our sunscreens, visit About Badger Sunscreens. Yes. Badger products are rich in antioxidants and vitamin E, which naturally occur in the oils, butters, waxes and extracts we use to formulate our powerfully pure products. Our sunscreen creams use a naturally-derived sunflower vitamin E. We believe that nature is the best source for ingredients that benefit both people and the planet. Do our plastic tubes contain BPA or Phthalates? No, they are BPA and Phthalate-free. My clothing/linens were stained from using Badger products. What can I do? Unfortunately, zinc oxide can sometimes stain darker fabrics. To help remove zinc oxide stains, we recommend soaking the garment overnight in regular white vinegar and then laundering it in the hottest water the fabric can handle. Air dry. If the stain is still visible after the garment has dried, repeat the soaking process and then launder again. It’s best to do this process before drying the garment in an electric dryer, which can set the stain. Note: If you are concerned about using vinegar and the colorfastness of your garment, try looking for an enzyme-based commercial stain remover made specifically for color fabrics. Grease stains can be treated just like a stain from salad dressing! If the stain is mostly oil-based (rather than the white of zinc oxide), place baking soda on it and then let it sit for up to an hour before laundering. In addition to laundry soap, be sure to add a little dish soap as this will help to break up the oil, something that regular laundry detergents don’t always do. Wash your garment in the hottest water it can safely handle and then air dry. An electric dryer can set a stain, so be sure it’s no longer visible before using one. The FDA tests sunscreen SPF using 2 milligrams of sunscreen per square centimeter (2mg/cm) of skin. This is about 1ounce for a full adult body (about a shot glass full) or about a third of a teaspoon to cover your face. It's nearly impossible to actually measure and evenly apply sunscreen according to these guidelines, so we suggest applying a visibly whitening coat of sunscreen to all exposed skin and then rubbing it in to reduce the whitening effect. To ensure that you have achieved full and even coverage, let the first coat dry for 15-30 minutes and then reapply. Think of it as putting on a base coat and then a finish coat. To maintain maximum effectiveness, sunscreen should be reapplied at least every 2 hours and more often after extended swimming or sweating. If a product is new to you or a member of your family, we recommend testing on a small area of skin before full use. Keep sunscreens out of eyes and away from broken or damaged skin. Adult supervision is recommended when using this product on children. If separation in product occurs, knead tube to remix product before using. Unopened Badger sunscreens generally have a shelf life of two to three years from the date of manufacture (depending on the product). Expiration dates are printed on the crimp (top edge) of tubes. Opened sunscreens should remain good for one year after being used or until the date of expiration is reached. We cannot guarantee that an expired sunscreen will adequately protect you from the sun, so you should replace it. Note: Extreme temperature fluctuations may cause the natural ingredients in our sunscreens to expire early. We recommend that you store your Badger sunscreen in temperatures below 90 degrees. Extreme temperature fluctuations may negatively affect the efficacy. Can I use your Zinc Oxide Diaper Cream with cloth diapers? We don’t recommend it. While many moms and dads here at Badger use our diaper cream with cloth diapers, they generally use a liner to make sure the cloth is protected. To determine whether or not you can use our diaper cream with your brand of cloth diapers, we recommend checking with your diaper service or cloth diaper manufacturer. Can I use your bug repellent products on my children? How about my baby? 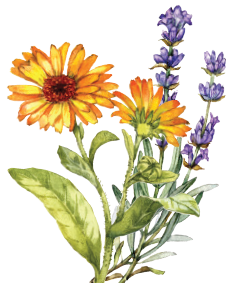 Badger Anti-Bug Balm, Anti-Bug Spray, and Anti-Bug Sunscreen are formulated with all natural and certified organic ingredients, including essential oils that have insect repelling properties. Essential oils in high concentrations could irritate the skin. However, the percentages found in our products should not cause irritation when used according to the direction, unless your child has an allergy or specific sensitivity. Consult with a doctor before using this product on an infant or toddler. If a product is new to you or a member of your family, we recommend testing on a small area of skin before full use and if you have any questions, check with your doctor. Do your bug repellents help repel ticks? Badger Anti-Bug products have not been tested to repel ticks. The U.S. Environmental Protection Agency (EPA) regulates all bug repellents. They allow only one federal agency to be represented on labels due to concerns that consumers wouldn’t know who to contact if they had a problem with a product. So although our Anti-Bug Balms and Shake & Sprays are certified organic, for the reason just stated we cannot reference the USDA on our labels. They are not intended to control or mitigate specific species of insects that may transmit diseases to humans, such as mosquitoes that carry the Zika virus. How effective are your bug repellents? Badger Anti-Bug Balm has been tested to repel mosquitoes and stables flies for 3.5 hours. The Anti-Bug Spray provided a narrow range of 3 to 4 hours of protection, with an average of 3.4 hours. The Anti-Bug Sunscreen allowed a wider range of 3.5 to 5.5 hours of protection, with an average of 4.1 hours." Are the minerals used in Badger&apos;s Lip Tints safe? Badger uses the following high-grade pigments: mica, silica, iron oxide, and titanium dioxide. Our pigments are specifically designed to meet all FDA requirements for colorants used in cosmetics and lip care products. The pigments we use meet requirements for a number of international natural standards too, including the NPA Natural Standard, the Ecocert Natural Standard, the NaTrue Natural Standard, and the Whole Foods Premium Body Care Standard. Can Badger Balm help clear up eczema and psoriasis? Our products are neither medicines nor drugs (except for our sunscreens, which are considered over-the-counter drugs by the FDA). Instead, they are natural products that help soothe discomfort associated with skin conditions such as eczema and psoriasis, but we cannot say definitively that they help to heal these skin ailments. Badger products are made using natural oils, butters and waxes, and are designed to moisturize the skin. Even our sunscreens are great moisturizers! Do I have to put the aromatherapy Mind Balms on my temples? Badger Mind Balms are made from all natural and certified organic ingredients and can be applied anywhere on your body to experience the aromatherapy benefits. Of course you should avoid the eyes, damaged skin, and other sensitive areas. If a product is new to you or a member of your family, we recommend testing on a small area of skin before full use. Can I use Badger Lip Balms around my eyes? What about Foot Balm on my hands, Cuticle Care on my feet, etc. It really comes down to you and your personal preferences. However, we do caution you not to use any products, especially Muscle and Joint Rubs, Headache Soother, and our Bug Repellents near eyes, broken skin or other sensitive areas. Do Badger Sore Muscle Rub and Sore Joint Rub cure arthritis? Neither Badger Sore Muscle Rub nor Sore Joint Rub are medicines or drugs. They gently warm and soothe muscles and joints once rubbed in; making them perfect for use before and after exercise, after a long day, or anytime you’re feeling a little stiff. Cayenne is rich in vitamins C, E, and other powerful antioxidants. Does Sleep Balm contain any drugs? Our Sleep Balm is all-natural and certified organic. It does not contain any chemicals or drugs. This dreamy, night balm will not make you sleepy (again, it’s not a drug); rather it’s a calming, soothing blend of essential oils to help ease you into a relaxed state of mind so sleep can come naturally. Is Aromatic Chest Rub a decongestant? No. Aromatic Chest Rub works wonders when applied to the chest area, but for a more concentrated smell, it can also be applied to nose and lips (dp not use on the faces of children). In addition to promoting deeper breathing and relaxation, it will soothe and smooth any chapped or parched skin. For a steam inhalant, put a 1/2 teaspoon in a humidifier or pot of hot water. If this product is new to you and you’re not sure how your skin will react, we recommend testing on a small area of skin before full use. What are those lumps in my After Sun Balm and Cuticle Care? Those lumps are concentrated beads of nourishing shea butter, which will occasionally separate. However, this does not affect how the product works and those little lumps will melt as soon you rub the balm into your skin. Castor oil is a soothing emollient, cold pressed from castor beans. The castor plant is a semi-tropical shrub whose common name is Palma Christi or Palm of Christ. Castor beans are poisonous, but castor oil is not. The toxic part of the bean is water-soluble and is not present in the oil. What makes extra virgin olive oil extra virgin? Extra virgin means the "first cold pressed" oil of olive pressed while the olive fruit is still fresh, resulting in a low acidity, high-quality oil that qualifies as extra virgin. Extra virgin olive oil has a lovely color that ranges from greenish to golden and it retains all of its naturally occurring vitamins and antioxidants making it very nutritious and soothing for your skin. How do I perform a "skin patch test?" Some people are sensitive to essential oils. So when in doubt and especially if a product is new to you or a member of your family, we recommend testing on a small area of skin (such as the inside of your elbow) before full use. Cover the test area with a band-aid overnight. In the morning, check for signs of irritation or other skin sensitivity.